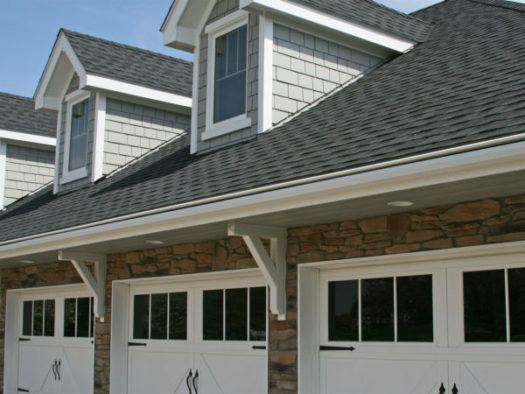 When it comes to gutter installation in the Des Moines area, no one does it better than Home Solutions of Iowa. We pride ourselves on our incredible expertise as well as the premium quality of our products. When you choose us for the job, you can have confidence that your gutter installation will be completed perfectly, right down to the last detail. In fact, our dedication to excellence has earned us numerous industry awards and a stellar A+ rating with the Better Business Bureau. 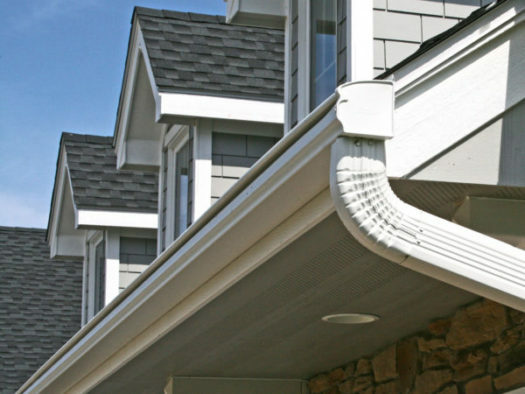 We offer two different gutter systems, each of which has unique performance advantages. The LeafGuard® Brand Gutters that we install feature built-in covers to prevent leaves from entering the system and clogging it up. If you don’t feel the need for covered gutters, however, you can opt for our RainPro® system, which provides effective water channeling even during the most torrential downpours. Our installation technicians are highly trained and have decades of combined experience. That means you can rest easy knowing that the job is in the hands of capable professionals. Not only will your new gutter system be covered by a lifetime material warranty, but we will also stand by our craftsmanship with a lifetime labor warranty so you can have the ultimate peace of mind in your investment. 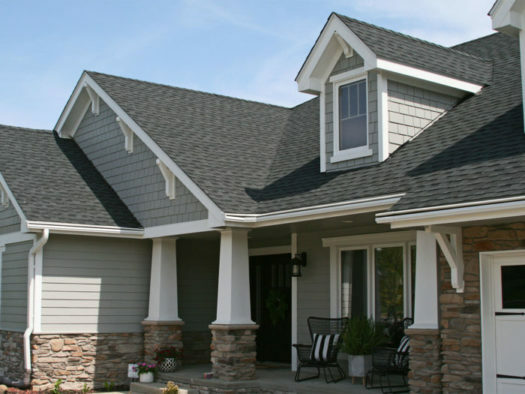 To learn more about what makes us the gutter installation company of choice for residents of the Des Moines area, contact Home Solutions of Iowa today and schedule a free, no-obligation consultation. It is PROVEN that you can trust a LeafGuard® gutter. LeafGuard® brand gutters have earned the Good Housekeeping “Seal of Approval”, the foremost symbol of quality assurance and safety in America. While this is a flattering attempt, don’t be confused. There is only ONE LeafGuard® gutter system that’s proven to last. 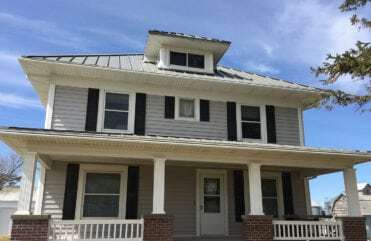 While DIY mesh screens, gutter guards, and other similar types of gutter toppers may claim to do the job of LeafGuard® – they are more like a Band-Aid than a true home solution. In the end, they’ll cost you more time, money and energy. The siding and gutters you put up are awesome! The estimator and installers were professional, on time, and great to work with. My LeafGuard® gutters are performing as promised and have been a blessing during this summer's wacky weather! We have recommended LeafGuard® many times. Thank you!! - Sherry S.
Just delighted with the whole process from my first phone call through the completed installation. The crew, headed by Dave, were polite and hard working. That very evening was the flooding rain and the gutters performed perfectly! - Barbara D.
The estimator and installers did a great job and were super! - Bill D.
Home Solutions of Iowa worked with me on some timing changes without any problems. The installers were courteous and answered all my questions. The LeafGuard® gutters look awesome and operate great as well. - Brandon S.
Your house is the greatest asset you have, and your gutters are a crucial part of protecting it. 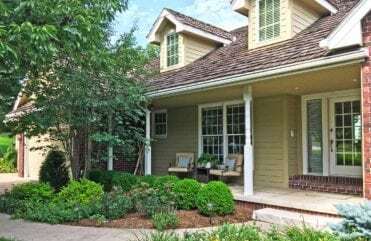 Not only do your gutters protect your home from water overflow, but they also protect your landscaping, your siding, your roofing, and most importantly, your home’s foundation. We offer peace-of-mind home improvement with LeafGuard® Gutters.